Providing rescues and shelters with assistance in assessing and working with pets in their system. Many dogs in shelters can become highly stressed and exhibit inappropriate stress- related behaviors such as hyperactivity, jumping, mouthing and chronic barking. The longer the animal remains at the shelter the higher the likelihood that the animal’s physical and mental health will deteriorate and these behaviors will escalate. Rescue dogs often find themselves in the home of a volunteer foster. The foster has the arduous tasks of daily care, medical treatments, and attending adoption events with their foster animal. Training and behavior challenges are common among these dogs. Often, foster parents do not have the time nor expertise to effectively address the more difficult behavior problems that surface. That's where My Pet's Teacher comes in. We offer a variety of services to help dogs be successful in their new environments, whether that new environment is a shelter, a foster home, or a new adoptive home. Whether you are a potential adopter, a rescue, or a shelter, we strive to offer our expertise and our services to help dogs in need and the people who help them. 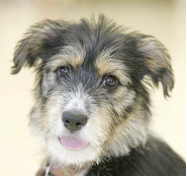 Are you a looking for a new family member but not sure what to look for or where to look? Sometimes it can be daunting trying to find a perfect match when you are looking for that special one, especially when you want to be selective about who you are bringing home. My Pet's Teacher offers our knowledge and experience to help match you with potential pets. We network with various local rescues and will help you to find the pet that is right for your home. For our rescue and shelter friends, we offer discounts for dogs and cats currently in the rescue or shelter system. In order to help prepare dogs and cats for their forever homes, we offer our services at a discount. We offer discounts for group classes for dogs, in all of our classes. We also offer discounts on workshops, one-on-one training, in both the home and at one of our locations, assessments, and evaluations. 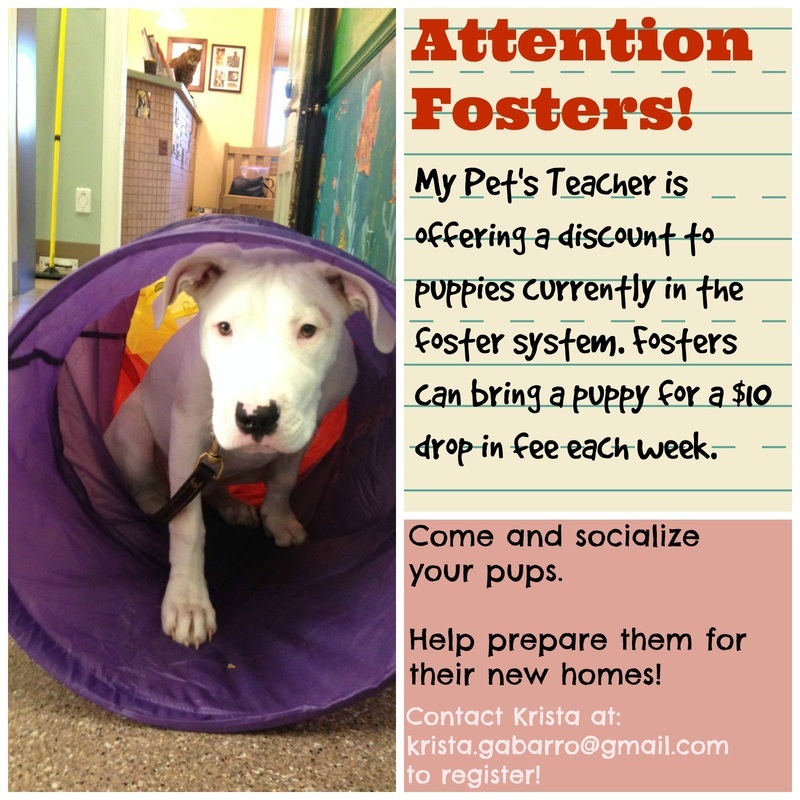 My Pet's Teacher wants to help puppies who are looking for homes learn the skills to make them successful! We are offering fosters of puppies under 16 weeks the opportunity to drop in to any of our Puppy Kindergarten classes for only $10. The sensitive period for socialization ends at 16 weeks, so giving puppies opportunities to have positive experiences at this critical age will help these puppies be more successful in their new homes. Diamonds Dogs ® offers shelters and rescues an alternative option in their efforts to expedite the adoption of these animals into appropriate life-long homes. The Diamonds Dogs ® dog will be offered a short-term stay at our newly designed, state of the art, veterinary boarding facility. While in residence, the dog will learn the skills he needs to succeed in the next phase of his life with his forever family. The overall goal of the program is to improve the adoptability of a segment of dogs that are being passed over by adopters due to specific behavior problems. Horsham Veterinary Hospital and Antech Diagnostics. Behavior evaluation and medical examination prior to entry. Program designed specifically to address the specific needs of the dog while he stays at our facility. Daily exercise, socialization, and enrichment. Our trainers work directly with the foster parent in their home or at our facility to prepare the dog for upcoming transitions. Workshop for foster volunteers and prospective volunteers on techniques for successful meet and greets, protocols for introducing new pets into a home, and hands-on methods for animal behavior and training. Foster, rescue and shelter dogs--bring a friend just like you and you both attend our basic obedience class for the price of one. Of course you must bring a human with you too!